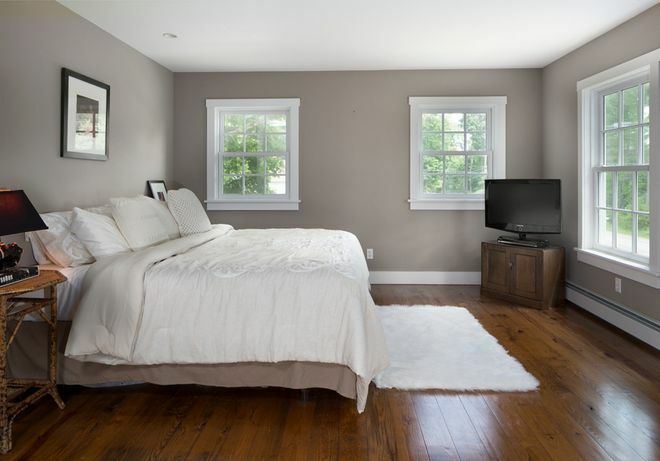 Located just across from picturesque Silver Lake, this 1750 farmhouse is a country paradise. 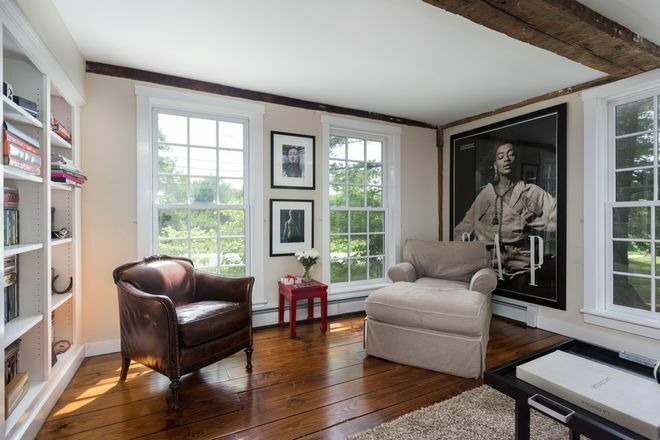 Nestled in Sharon, Connecticut, this 3 bedroom and 3 bathroom country house has a classic historic character with all the luxuries and modern conveniences of twenty-first-century living. 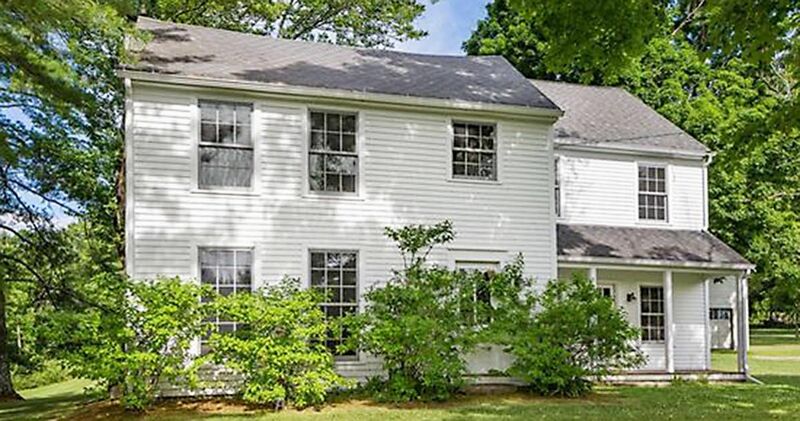 This New England farmhouse is full of unique and one-of-a-kind features that make it like no other house on the market today. Thanks to careful restoration and masterful modern updates, this farmhouse has maintained its classic country roots while still taking on a newer, chic aesthetic.Not only is this idyllic farmhouse located across the street from Silver Lake, but it is also only a few minutes away from the beach! Summers are sure to be fun at this country estate. This home's living room features a few of the gorgeous touches that can be found throughout the house. Wideboard hardwood floors and rough hewn beamed ceilings create a rustic and unrefined decor that juxtaposes effortlessly with more modern pieces such as leather chairs. The entirely new and updated eat-in kitchen in this country house includes a fireplace for keeping warm during breakfasts on cold winter nights. Honed stone counters and top of the line appliances keep the cooking area simple and elegant. 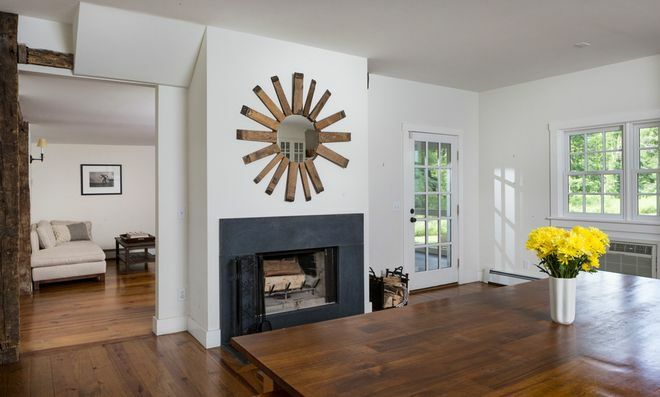 A unique statement piece of decor, such as this striking modern mirror, brings even more attention to this wood-burning fireplace that lies at the heart of the kitchen. This kitchen opens up onto a screened in porch, so you can entertain with ease without worrying about bugs. 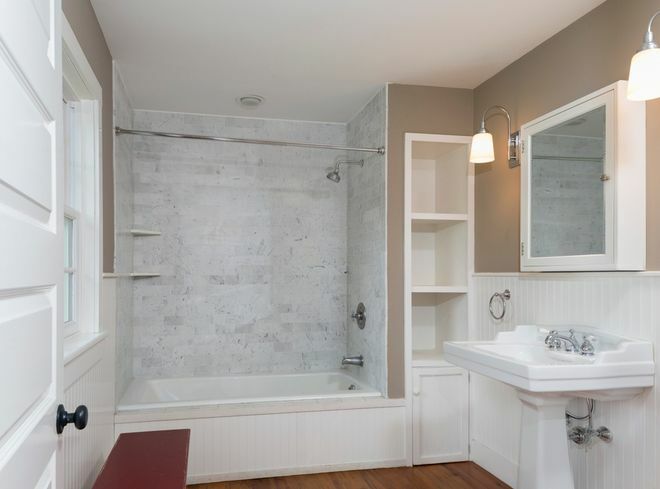 The soaking tub in the master bathroom on the second floor is surrounded by beautiful marble subway tiles. Clean decor throughout the rest of the room allows the space to hearken back to the simpler times when this farmhouse was built. Do you love this house as much as we do? Share it with your friends!